Christmas countdown. | A.B.E. Remodeling, INC.
Hello Everyone. The days are counting down fast. It's time to start finishing up on the Christmas day deadline. 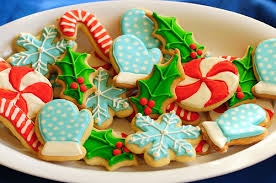 This weekend may be a good one to get those Christmas cookies made. Yes, we all know we shouldn't eat them and there is always an abundance of cookies at Christmas but as tradition would have it.... we will create, bake and eat Cookies. So how many different kinds of cookies are you making? What is your favorite? Do you make lots and lots of batches. Enjoy these times. And as the weekend is once more upon us -- we hope everyone has a productive but relaxing and enjoyable weekend. Take care, drive safe and stay calm.